6 single bunk-bed dorm room with a lake-view and balcony. 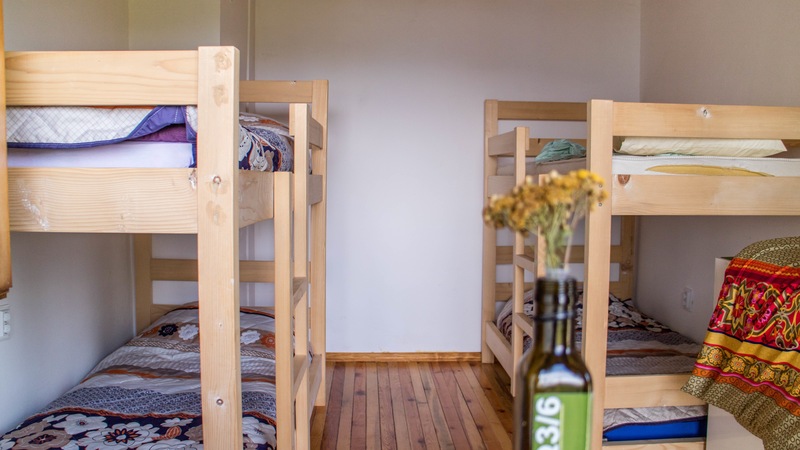 4 single bunk-bed private room with a lake-view and balcony. 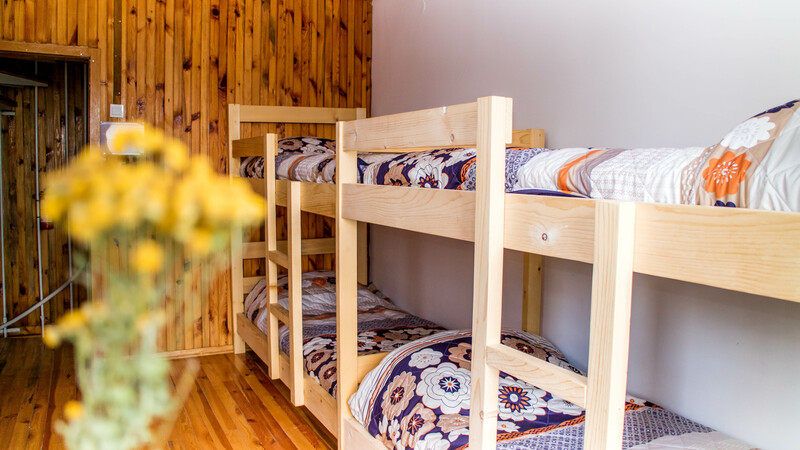 2 bunk-bed and 2 double bunk-bed (1.40m) private or dorm room with window facing towards the forest.